Site123 claims to be “by far” the easiest website builder, and while their tool is certainly not too difficult to use, we’d say that there are even more user-friendly ones. 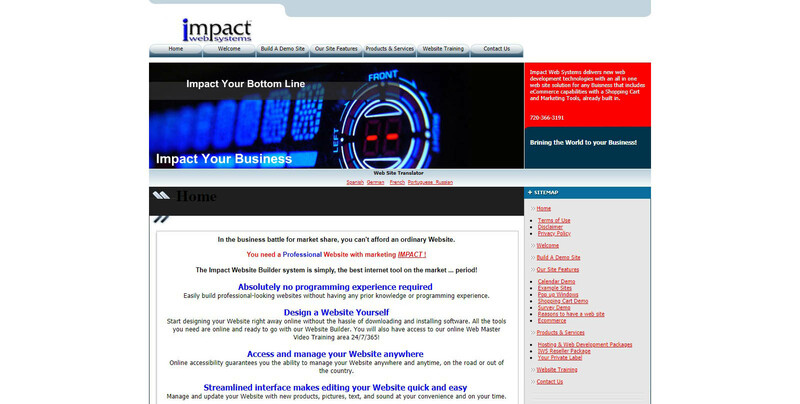 What’s great about their builder is that they have some pretty good looking themes that are all responsive. Paid plans start at $9.80 per month and include a basic ecommerce store as well as an email marketing tool. Be prepared to receive multiple daily emails after signing up. Free websites show a little banner stripe at the bottom of the page.